Frank Viola author of Pagan Christianity, Rethinking the Wineskin and now Reimagining Church has provided the Body of Christ a Gem in this work. The book sets out to put the New Testament in Chronological order, filling in gaps, and helping the reader of the New Testament to see, smell, touch and hear what our 1st century brothers and sisters would have experienced during the time the “Church” is being built by Jesus Christ through the work of the Spirit in the lives of the Apostles and others. Okay I am over half-way through the book. It started a little rough for me, given the fact that I am not covenantal though some of my favorite teachers are, including Ken Jones. 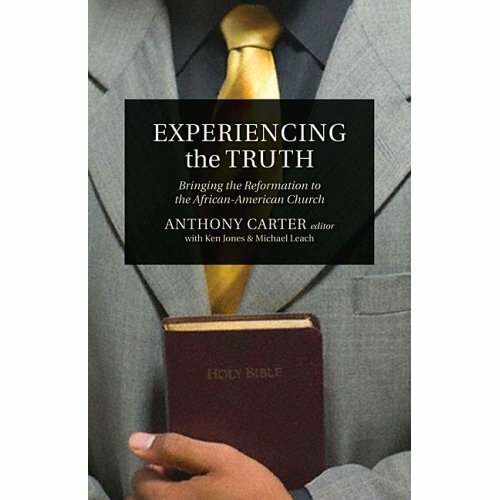 I want to tell you that Mr. Carter’s chapters on preaching and worship are worth the price of the book alone. I am going to give a few quotes. Please pick this work up. There are things that I will disagree with but I will leave that for the final review which is to happen this weekend. God willing! Also please check out the Council of Reforming Churches also. 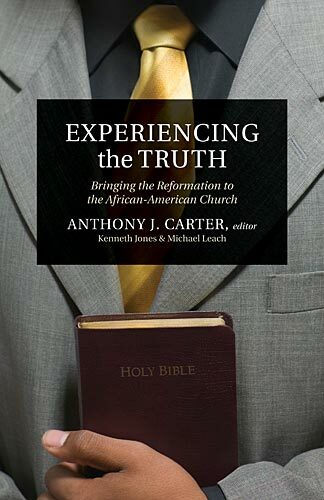 You can get information on the authors of this book and other Reformed and Biblically Sound African American Pastors and the work they are doing to spread the Supremacy of Christ to the entire world. This is just a teaser. The book is jam packed with this type of Christ exalting information. The book is written by some pretty heavy reformed guys so some of the stuff you may not agree with, but the quotes above over populates the pages. I will provide a review by the weekend. I just wanted to recommend a wonderful book by Charles Leiter. This book deals scripturally (a bunch of scriptures and footnotes to scriptures that are a great help) with both Justification and Regeneration. I believe one of the most overlooked and under-emphasized doctrines of the bible is regeneration. There has been about 3 big theological works in the last year or so dealing with justification but regeneration has been mostly ignored. I believe this is why Romans 7 is so widely viewed as the “wretched Christian” verses (once again another blog post). However I believe Regeneration is more important and I believe the bible deals with it just as much as Justification (this book will prove that scripturally). Most Christians really don’t understand what Paul means when he says “put off the old man” and “put on the new man” both pivotal in Colossians 3 and Ephesians 4. So on to the book there are so many great quotes that I didn’t want to do the book a disservice by quoting them. However the first half of the book deals with Justification and the latter half Regeneration. The book has a few appendixes one being a expositional work on Romans 7 and the wrethced man which is worth the book alone. Mr. Paul Washer does the preface and really has your mouth watering with anticipation. Mr. Leiter does an unbelievable job using the bible to deduce his conclusions and not Christian “experience” (which is where a lot of books I read miss as it relates to sanctification/regeneration). Finally the book is very reasonable. I have had it for, well… I actually preordered it a while ago. Anyway, buy this book it is unbelievable for new believers and brothers or sisters struggling with their faith. The number one reason is because it is not wordy, it is very simple and quotes the bible extensively. 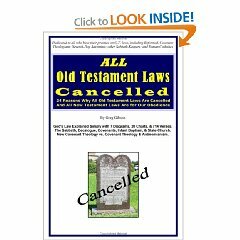 Please purchase this book rather a new believer or a seasoned vet, I believe the justification the latter will find quite simple but the regeneration portion may be a huge challenge and for those who continually quote Romans 7 as a believer it could definitely cause you to rethink that position. God bless. Pastor Redmond (who pastors Hillcrest Baptist Chruch in Maryland) has wrote a very brief, narrowed and concise book in this book. The book works like a conversation. There are 9 days and then a few appendices at the end. The book totals about 100 pages or so so it only took me about two and a half hours to read over two days. Each day there is a question by the “brother” and Pastor Redmond responds biblically, gently, and persuasively while avoiding using theological terms (academic ones anyway), avoiding just overlooking the importance of the question and avoiding letting the brother off the hook. Each of the questions are relevant and each answer is biblical. Pastor Redmond definitely has his ear to street or at least is engaged in the local barbershop. These questions made me laugh as I thought about the 100’s of conversations I have had with my barber of 7 years and whenever I have to sit in at a shop when I missed my appointment. Everyone seems to be barber chair theologians, politicians and sports experts, two of the three I can care less about. I usually find myself in the middle of some pretty philosophical conversations, typically because I can’t sit back and allow someone to ridicule the Christian Faith. This book will be a help two three types of people. 1. The person who really doesn’t know how to defend the faith has very little theological training. 3. You are a person who has stumbled along this site and want to no more about the Christian faith but in a way that is relevant to your life experience. 3. Isn’t the church geared towards women? 9. What to look for to find a good church? Mere human writers would definitely have removed fornication, adultery, gluttony, stealing, lying, gossiping, and greed from their list of Sins! Most certainly, mere human writers would not have made us responsible for the crucifixion of the Son of God! It is because you, and many brothers like you are needed to fill places at church and take their God-given, Scripture-prescribed roles as leaders-as pastors, elders, preachers, teachers, deacons, older men who are respected, wisdom-giving example-setters, disciple-makers, loving husbands, and nurturing fathers, So go take your place…..
Ordination is a process in which a candidate for ministry should be tested on his Bible knowledge, theological depth, giftedness for ministry, ministry experience, and wisdom in decision-making. The preacher, as one responsible for teaching the Scriptures, the Word of God–God’s very own words–should have the ability to explain clearly the meaning of passages of Scripture when he preaches. That meaning should be derived from the meaning God intended in the passage. Churches, however should maek an ordination process the clergy’s equivalent of the Bar Exam, Professional Engineer Exam, or Medical Board Certifying Exam. However, as with any religion, it is up to each individual to practice what he believes. A lack of practice on the part of some does not discredit the entire religion. Even for Islam, people do not reject it because some members of the Nation of Islam assassinated Malcom X or because some Muslims are terrorists. The there is the persistent appearance that the preacher is getting rich off people, driving a luxury car, living in the best home in the suburbs or exurbia, and dressing himself and his wife int he finest clothes. Those are just a few quotes. My only struggle was an emphasis on theological education in which it seems like the theological education was strictly institutional versus other methods of getting theological training. This may be a personal hang up of mine but that is what is seemed like in the chapter “Isn’t the preacher just a man”. But I thoroughly enjoyed the book and wanted to review it before Fathers Day but at least I made the Father’s day deadline. Buy this book as a late gift for your friends or loved ones. Or take $30 dollars buy three copies and leave them strategically at barbershops, beauty salons, or even give them to a co-worker. Don’t forget family reunion time is upon us so this would be a good way to reach out to our lost loved ones. God bless and hope this was a fair presentation.